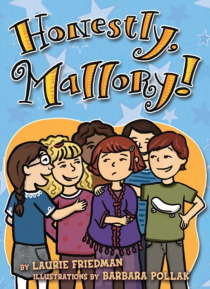 IHG® Rewards Club - eBooks - #08 Honestly, Mallory! Everyone seems to know what they want to be for Career Day at school-that is, everyone except Mallory. She can't seem to find anything she's good at. When she finally decides to be a fashion designer, some of her classmates laugh at her. And then, before she can stop it, out pops a lie-Mallory tells everyone that she's won the Fashion Fran fashion design contest. Mallory's lie grows and grows unti… l she must face the truth and make amends with her class, friends, teachers, and parents.